It is important to understand that food does not cause eczema nor does food cause allergy. The symptoms of allergy are caused when the immune system reacts to food as though it were a threat to the health of the body. Allergic reactions can cause a worsening of eczema symptoms, coughing, sneezing, wheezing, and, in severe instances, anaphylaxis (life-threatening swelling of the tongue and/or throat). Eczema is one of the earliest signs that a baby may have food allergy. But, not all babies with eczema have food allergy. About one-third of young children with eczema is attributed to food allergy. The foods most frequently identified as allergens were eggs, milk and peanuts. 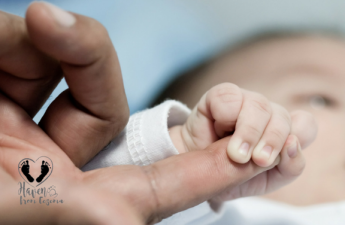 Nursing babies who are especially sensitive may have an allergic reaction to food in their mother’s diet, but this usually shows up as hives or blood in the stool. Every baby is an individual. 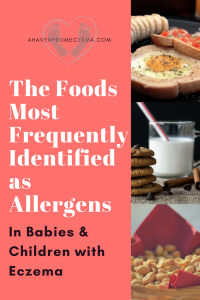 Your little one may have become sensitized to foods other than those listed among the food allergens that commonly trigger eczema (diary, eggs, nuts, etc). A food sensitivity is less well defined and it is not determined by the immune system. Symptoms occur when that food is consumed, but may be variable over time. This also most often includes gastrointestinal symptoms and eczema. If elimination of the offending foods does not result in improvement of your baby’s eczema, continue to eliminate other foods. 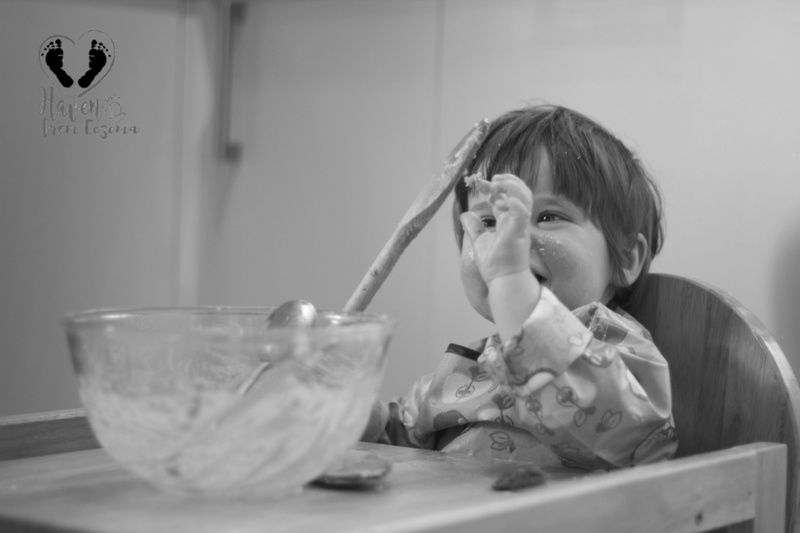 Check Out: Meal Planning for Baby Eczema and Allergies for more information and guidance on food allergies, food intolerances and sensitivities that are known cause and worsen eczema. I also provide helpful tips on the best healthy alternatives while on an food challenge/elimination diet. Seasonal allergies generally don’t show up in children younger than 1 year old. 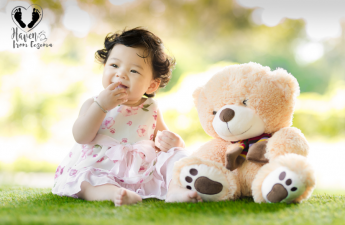 Babies usually need to be exposed to environmental allergens for one or two seasons before they get seasonal allergies. 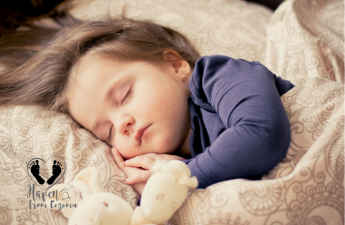 However, allergic reactions to food and indoor environmental irritants can occur during baby’s first year and might trigger symptoms like red eyes, sneezing, sniffling, or eczema. Pet dander is very tiny particles of skin that had been shed from animals with fur or feathers. Pet dander is a common trigger for eczema. Proteins in pet saliva or urine also can set off eczema symptoms. The condition most often appears in babies and young children. Stuffy nose or a runny nose. For as long as the exposure continues, the reaction continues. For as long as the exposure continues, the reaction continues. A prolonged allergy attack can lead to a secondary infection such as bronchitis, sinusitis, or otitis media (ear infection). Furthermore, there’s no proof that so-called hypoallergenic cats, dogs, or other animals are better for those with allergies or eczema. Dander, not hair or fur, is what usually triggers the allergy. Keep your home clean. Pet dander is sticky so it gets everywhere. Vacuum your carpets and furniture often. Also, look into a vacuum with a HEPA (high-efficiency particulate air) filter which will catch dander better. Keep your pet outside. This will cut the amount of dander in your home. But make sure it’s safe and practical. Keep the distance and limit contact with your pet. 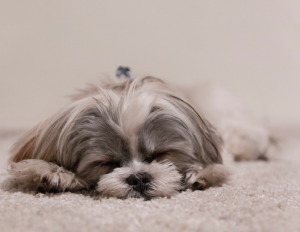 Keep your pet out of the baby’s bedroom or any part of the house where the baby spends a lot of time. Allergy tests may help find allergies to things you (if nursing) and your baby eat, touch, or breathe in. But they are not reliable. The best test is actual ingestion of the food. Keep in mind that not every child with eczema needs allergy testing. 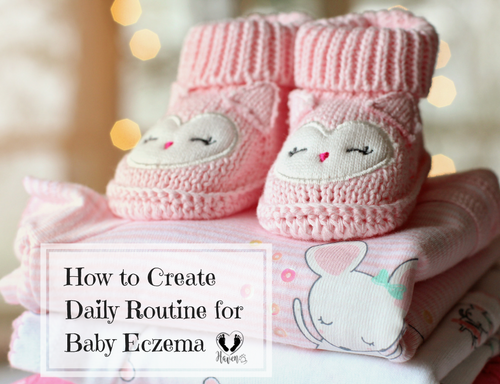 The most effective way to control, clear and prevent eczema is to follow an eczema daily skin care routine as well as a well-balanced diet plan. Allergy tests are usually skin or blood tests. Skin Prick Testing involves placing a drop of allergen onto the surface of the skin, and then pricking through it to introduce the allergen into the top layer of the skin. If specific IgE antibody towards that allergen is present, then an itchy bump and surrounding redness should develop within 15 minutes. These tests have a high negative predictive value (when a test yields a negative result, it is very likely to be correct), but a low positive predictive value (when a test yields a positive result, it is less likely to be correct) which can result in false positive test results. Blood Testing (previously and commonly referred to as RAST or ImmunoCAP testing) measures levels of specific IgE directed towards foods in the blood. The range, depending upon the laboratory techniques, can go from 0.10 kU/L to 100 kU/L. This also has a very high negative predictive value but a low positive predictive value. Mildly elevated results are often encountered, especially in children who have other types of allergic conditions such as eczema, asthma, and allergic rhinitis. The predictive values for likelihood of an allergy being present differ with every food, but in general, the higher the level, the more likely that an IgE mediated allergy is present. This is also a very poor screening test due to the high rates of falsely elevated and meaningless results. Keep in mind that a positive test result for food allergy is not, in and of itself, diagnostic for food allergy. These tests are best utilized to help confirm a suspicious history for IgE mediated food allergies. They have high rates of falsely elevated and meaningless results and are not useful screening tools. A positive test is not an allergy unless it is confirmed by an actual food challenge. Some commercial laboratories offer convenient “screening panels”, in which many different foods are included. These are rarely utilized by Allergists/Immunologists, but more commonly ordered by primary care providers. This often results in falsely elevated results, along with diagnostic confusion and unnecessary dietary elimination. Ultimately, your child may have food(s) removed from their diet for no reason other than a meaningless positive test result. This may then lead to anxiety, family hardship due to food avoidance, and potentially nutritional deficiencies. It can be very stressful for parents when they find out their child has a food allergy and/or an environmental allergy! Daily management is time-intensive and you may experience a mix of emotions, such as sadness, worry, confusion, uncertainty, frustration, anger and anxiety. Remember that your mixed emotions towards your child’s allergies are all very normal reactions and you are not the only parent to experience them. Parents of children with allergies sometimes experience elevated stress, anxiety and worry, and sometimes report lower quality of life as a result of these allergies. Lastly, it is important to understand that learning and practicing ways to improve your ability to cope with stressful food-allergy related situations will not only help reduce your stress and anxiety, but your child’s too! Practicing positive coping strategies will have a positive impact on your family.